Since always into electronic music, in 1997 dj Phobos started listening to psy-trance, going to parties and festivals all around Europe. As a dj he has played in many parties in Italy, German, Austria, Spain, Swiss, Uk, France, Belgium, Slovenia, Russia, Czech Republic, Croatia and Thailand together with lots of artists of international fame in the world of trance. From the point of view of his musical choice, he doesn't like sticking to just one style of psy-trance, but he prefers to adapt his set to the hour, the people and the situation he finds himself in, taking always special care of the mixing. 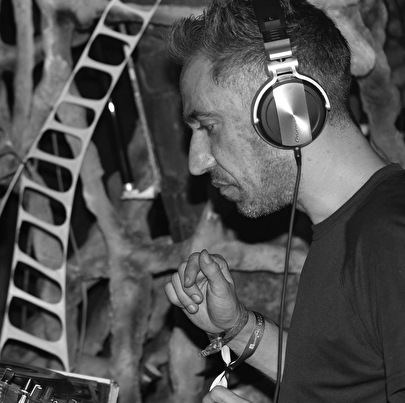 When playing during the night hours, he usually offers a Psychedelic Trance oriented style, with very psychedelic sounds which try not to degenerate into maddening noise or too dark influences; in the morning hour he will more likely choose to play more full-on underground stuff, trying to remain within the borders of psychedelics but with softer sounds, more suited for the light. Anyway he would rather play at dawn, according to him the most suitable moment of the day to enjoy his best sets. His djset is full of unreleased stuff .